This Easter Tottenham Court Road will be changing to a two-way road as part of Camden’s transformational West End Project. This will mean changes for those who live, work and travel in the area. The new southbound lane will be buses and cyclists only 24 hours a day until the project completes in spring 2020. Motorists can continue to use Tottenham Court Road northbound. 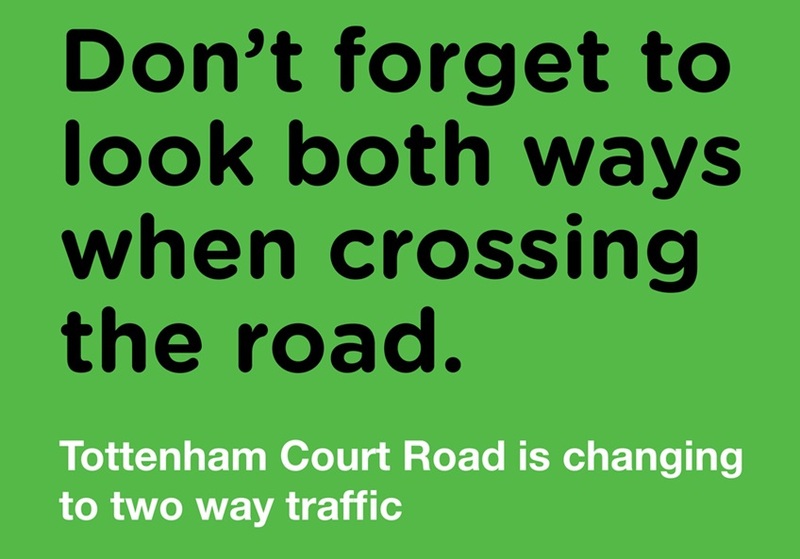 If you are walking in the area please take care when crossing Tottenham Court Road and remember to now look both ways for traffic. There are a number of pedestrian crossings along the road which we would encourage you to use. We will have stewards on the street to remind people of the change for the first few days.